K27 Mike #463 is just beginning to dig into the grade up the west side of Cumbres Pass as she exits the portion of the line known as "The Narrows". Ahead lies 14 miles of unrelenting 4% grade with plenty of curvature. 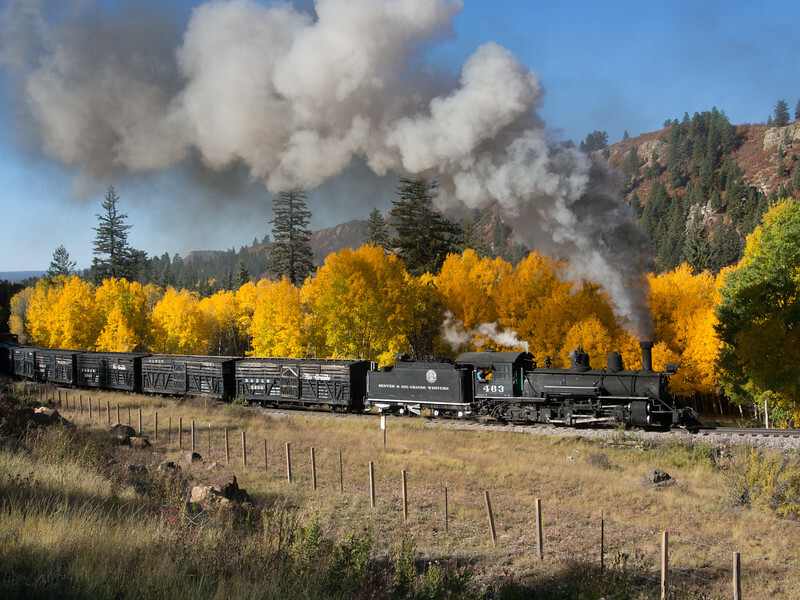 The photo charter this day recreates the stock extras that the railroad ran during the season to move the region's cattle to market.